All levels, styles and sizes welcome to come balance, strengthen and lengthen. 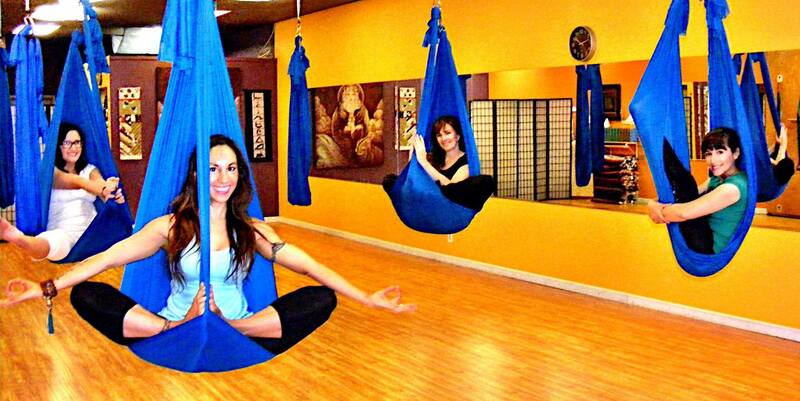 Using our own body weights to lose weight we get out of the gym and into our own sacred space. Feeling safe and supported, we defy gravity, learn to trust and become expansive! 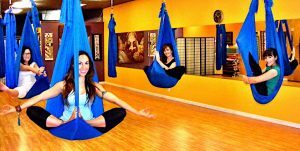 This special class uses an aerial yoga hammock that swivels freely on a single point, taking your practice to a higher level. It allows you to deepen your stretch, be fully supported in the air, and serves as a tool you can hold on to for balance and a deepened Yogic experience, regardless of where you are in your practice or of what size you are. You will gain strength, defy gravity, release fear and float to a deeper understanding of your health and vitality. You will leave class feeling empowered, replenished, and Lighter as you’ll uplift your self and your practice. Classes are booked by appointment. Please call 951-500-5009 for assistance or book your class online!